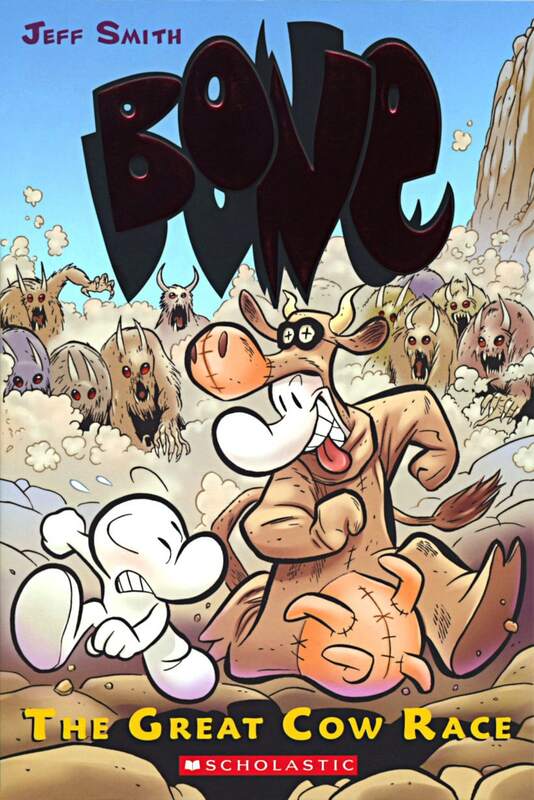 Cover of Bone 2: The Great Cow Race graphic novel by Jeff Smith. The hilarity and thrill of Bone comic series continues. The annual cow race takes place in Barrelhaven and the presence of the Bone cousins (Fone, Phoney, and Smiley) turns the race into a chaotic comotion.